If you’ve been following me for a while on Instagram, you probably noticed how much I LOVE TOAST. 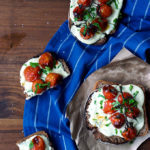 I will never get bored with eating it, making it and coming up with fun ways to dress it up. 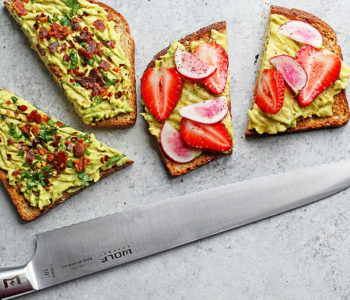 From avocado to poached eggs or last night’s leftovers, the possibilities are endless. 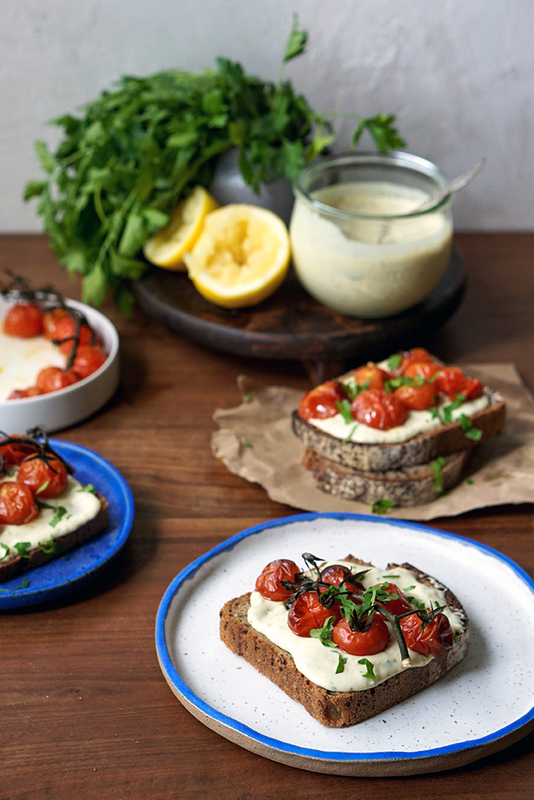 Mediterranean flavors came to mind when I was thinking of what to top this lovely toast with, so I created a creamy, velvety white bean spread. 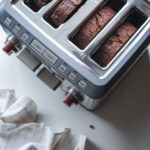 I was excited to use my new Wolf Gourmet 4-Slice Toaster for this recipe. 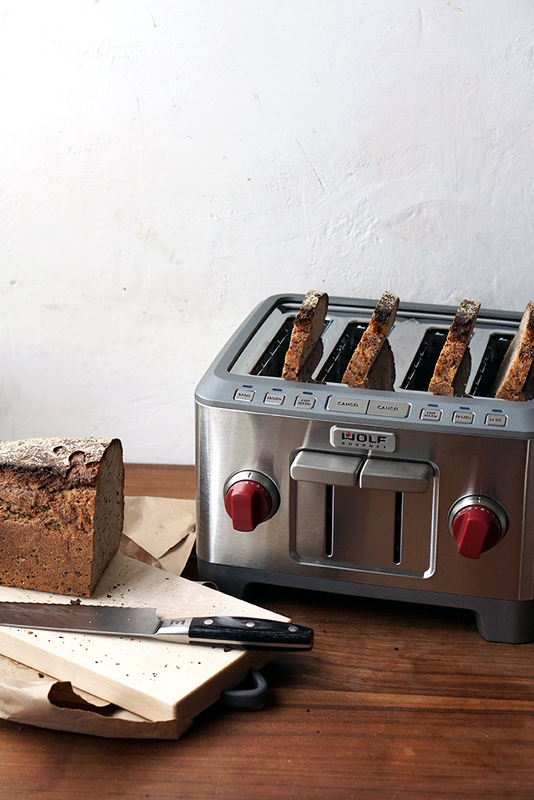 This toaster is just right for the artisanal styles of bread I prefer. And for those mornings when I’m still getting ready for the day, there is a “keep warm” setting so I don’t need to rush. No cold toast! How amazing is that? 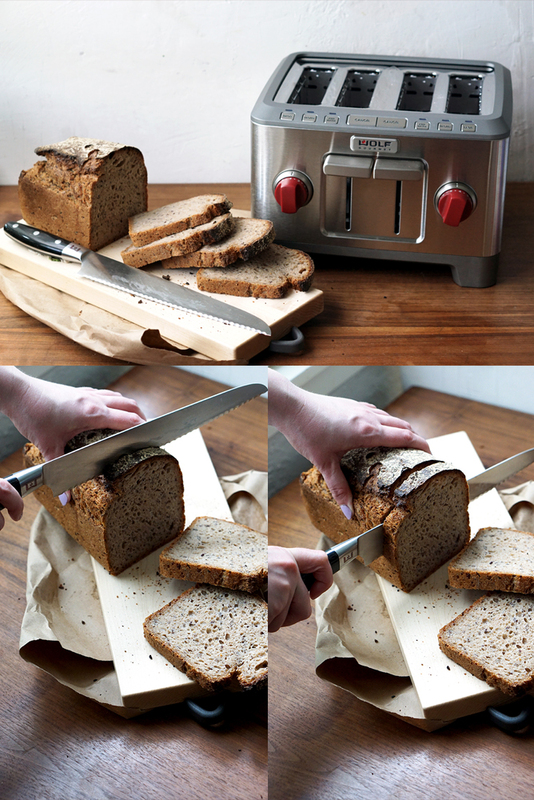 I used my 10” Wolf Gourmet bread knife to cut the rustic loaf for the bean spread. But what’s great is it also cuts salami and even tomatoes so smoothly. The serrated blade is an essential addition to any cook’s collection. While the bean spread is being prepared, I popped the bread into the toaster. 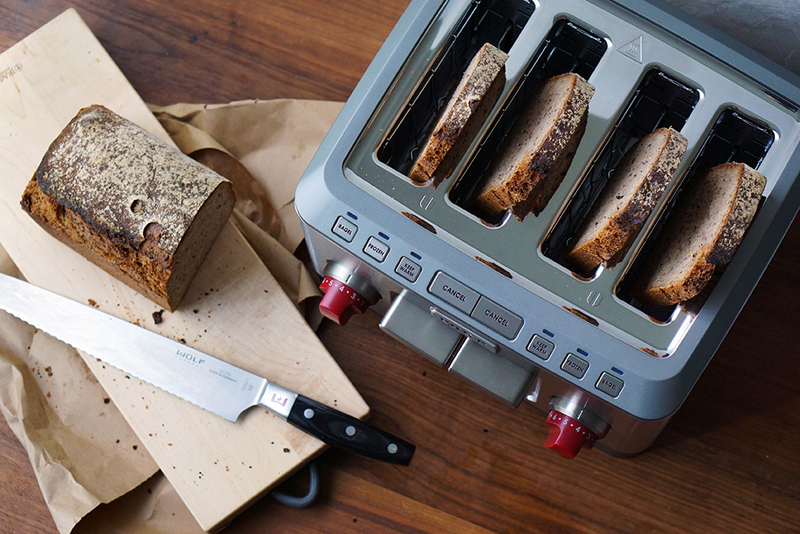 The centering guides inside make sure it’s evenly toasted every time. For our other topping, I decided on tomatoes. Since they’re not always in season, I like to buy vine-ripened. 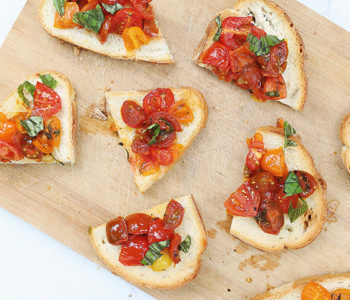 If you can’t find those, just get a box of grape tomatoes at your local grocery store. 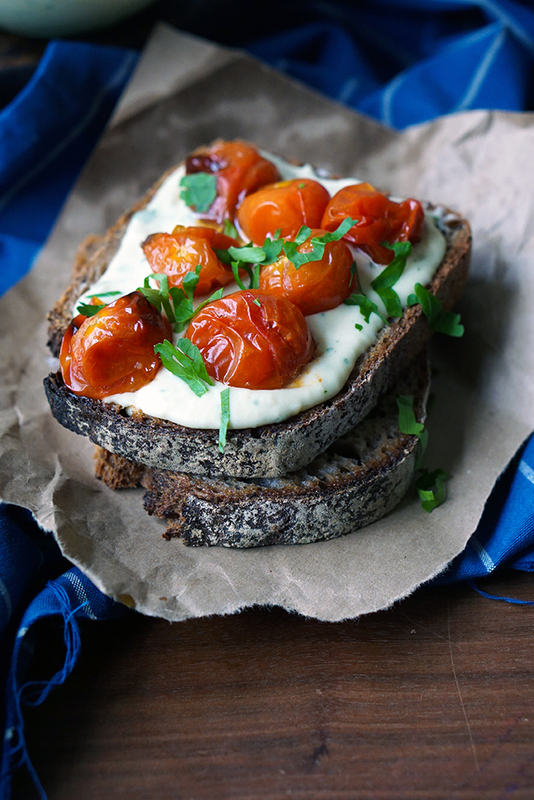 To give these tomatoes a delicious flavor boost, I roasted them in my Wolf Gourmet countertop oven. It gets daily use in our house! Don’t these look so tasty? You can also roast other veggies of your choice for the topping. I kept mine simple and only drizzled them with a bit of olive oil and salt. You can add spices like dried oregano, and chili flakes for added heat. 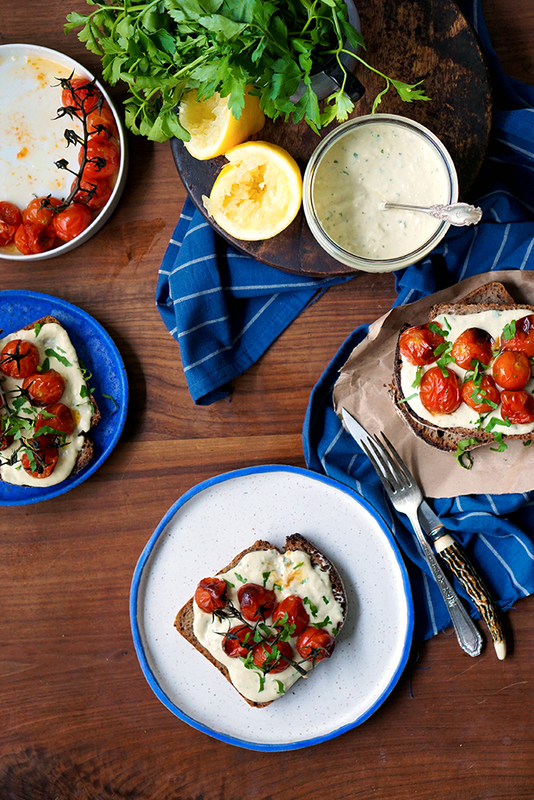 For the creamy white bean spread, you only need a few ingredients to kick up the flavors. Feel free to mix in one or two of your favorite spices to add your own signature flair. The spread is easy to put together. Just toss everything into a Wolf Gourmet blender and blend on low until smooth. Taste it before adding it to your crispy toast to make sure the seasoning is the right balance. Now you’ve got the perfect breakfast, lunch, or midday snack! Preheat Wolf Gourmet Countertop oven or regular oven to 375F. 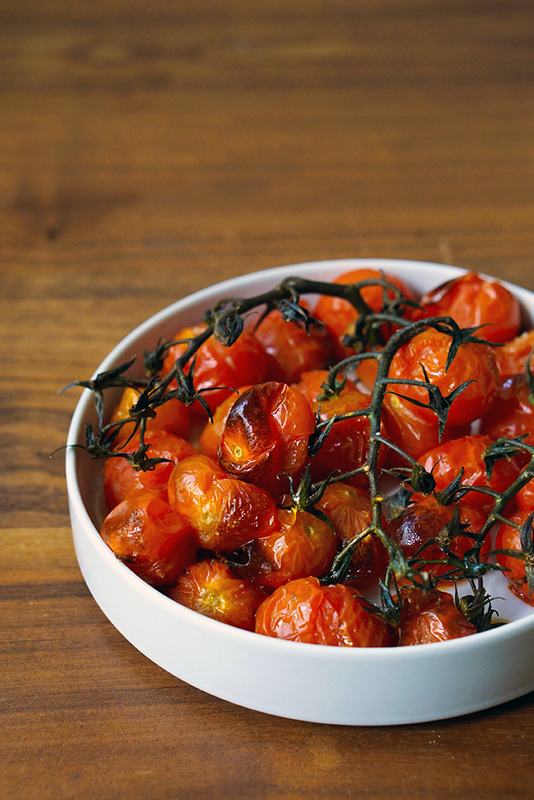 Line your baking tray with foil and place the tomatoes on, drizzle with olive oil and sprinkle with sea salt. Bake for 15-20 minutes. If they are larger add a few more minutes. You want them to be blistered, but not lose their shape too much. Once baked, remove and let cool. 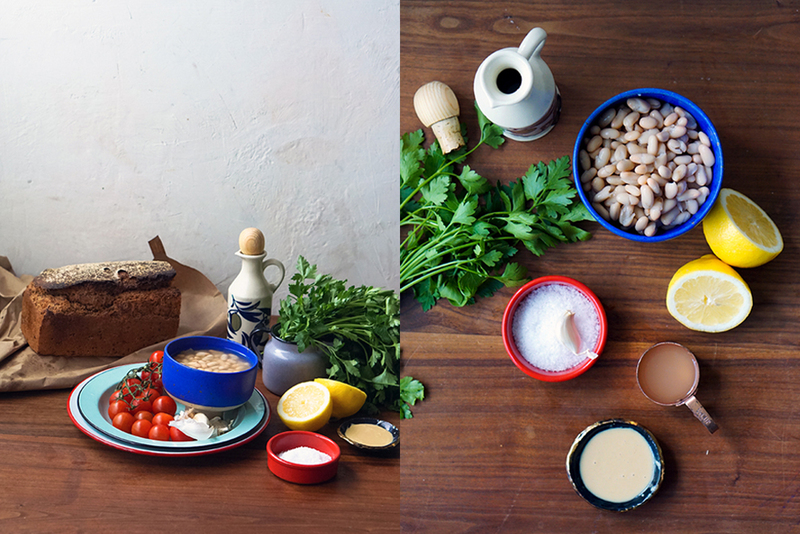 To make the spread, place the garlic, beans, tahini, olive oil, bean water, lemon juice, and salt in a blender. Blend in 20-second increments; stop to scrape sides and then blend for 20 more seconds. 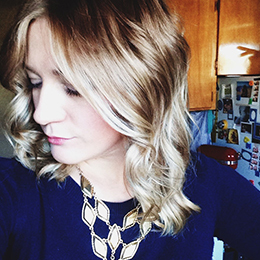 Do this for about two minutes. 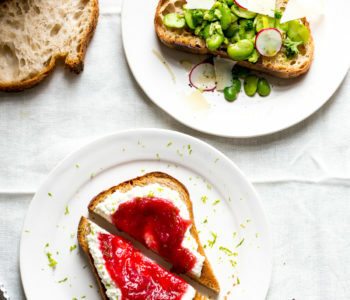 Add the bean spread on your warm toast, add the roasted tomatoes and a sprinkle of chopped parsley, finish with a pinch of salt if desired.